Smith, Donald B.. "William Henry Jackson". The Canadian Encyclopedia, 23 November 2016, Historica Canada. https://www.thecanadianencyclopedia.ca/en/article/william-henry-jackson. Accessed 24 April 2019. William Henry Jackson, also known as Honoré Joseph Jaxon, Louis Riel's secretary immediately before the North-West Rebellion, labour leader (b in Toronto 13 May 1861; d in New York C, NY 10 Jan 1952). After his family moved from Ontario to Prince Albert, Saskatchewan, Will Jackson joined them, abandoning his Classics course at the University of Toronto. Having completed three years there, he was one of the best-educated men in the area. 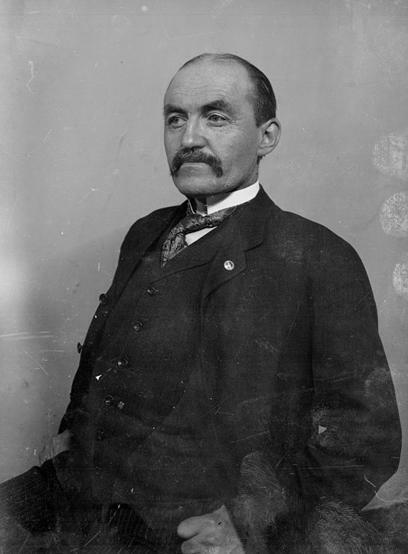 He became secretary of the local farmers' union, and in this capacity he met Riel in the summer of 1884. 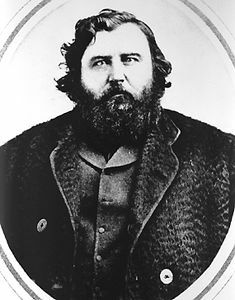 Sympathetic to the Métis cause, he went to live at Batoche, Saskatchewan, to serve as Riel's secretary, converted to Roman Catholicism and later accepted Riel's new religion. After the failure of the rebellion, Jackson was tried and committed to the lunatic asylum at Fort Garry, Manitoba. Escaping two months later, he walked to the American border and eventually settled in Chicago, Illinois. As Honoré Joseph Jaxon he worked as a union organizer for over two decades. "Riel's Secretary" moved to New York after the First World War, where he died.